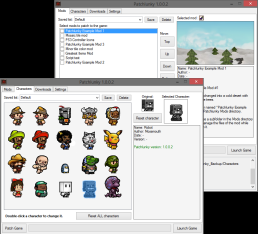 Patchlunky is a mod and skin manager for Spelunky that I originally made back in January 2016. Back then this part of the forums was just as inactive as it is now, so I didn't put in the effort to post it here. Now that i've made a major update for the program, I figured I should probably post it here anyway, so that at least the people checking out the forums can find it. Support for most existing Spelunky HD mods. Multiple mods can be patched to the game at the same time. Change any of the 20 player characters in the game. Load .png files as custom character skins. Dedicated file types for mods and characters (*.plm and *.plc). XML based mods and characters that support additional features. Custom URL protocol for downloading mods or characters directly into Patchlunky. 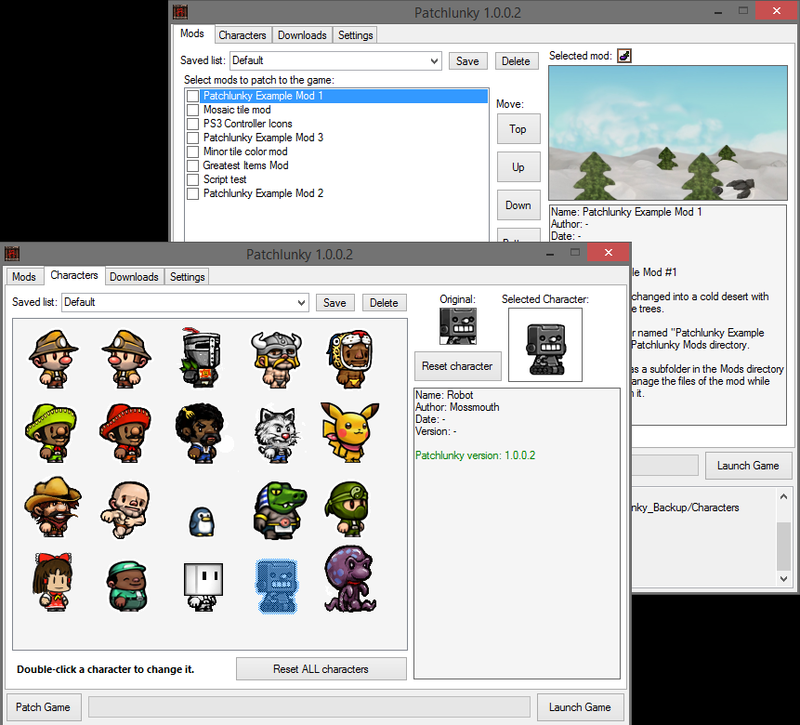 Before running Patchlunky for the first time, make sure that your game is not modded! Requires .NET Framework 4 and around 400 MB free space mostly for backups and temporary file management. Credits go to Contron the author of the SpelunkyWad library, which has an important role in Patchlunky.